Keeping up with the latest and greatest It sneakers can be exhausting. We get it, and that's what we're here for. We're proud to call ourselves sleuths in this department to ensure that you're well equipped with said It sneakers before everyone else acquires them. 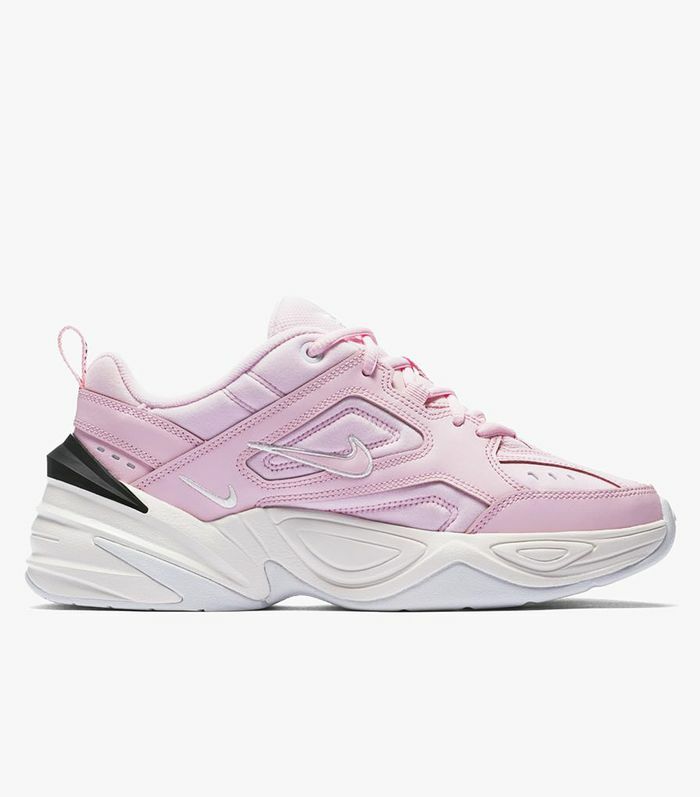 That said, the various iterations of the beloved Air Max It sneakers are still very relevant, but there's a new Nike sneaker style in town to rival their popularity: the M2K Tekno. 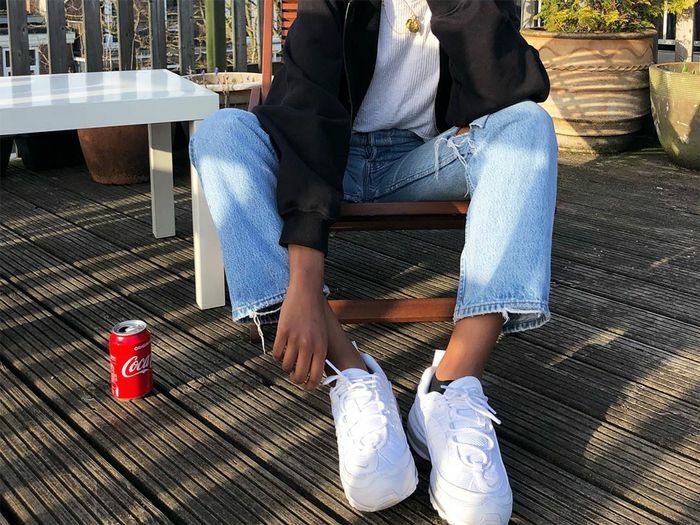 Like all the other It sneakers these days, they're clunky and futuristic, drawing inspiration from the ultimate "dad" shoes, the Nike Monarchs, which originated in the early 2000s. Of course, one look at the M2K Technos confirms that they're as 2018 as sneakers come, and unlike the Monarchs, they were initially designed for women. After spotting the sneakers on Hypebeast (which says they're not going anywhere) and searching the depths of the internet, we're declaring these the It sneakers for fall. They're sold out in every color pretty much everywhere, and the buzz is building since their initial release in May. The new colors (beige, gray, and multicolored) are said to be released soon, but for now, we tracked them down in black and pink. Shop them, and a few other fall It sneakers, below, and see how people (including Emily Ratajkowski) have been wearing them. ??????? ?‍♀️ Partner in crime ??????? ?‍♀️ Cher Instagram, Quelle est la personne avec qui vous passez votre temps à rigoler et faire l’imbécile sans même échanger un mot juste avec des regards ? ???????? J’ai la chance d’avoir depuis toujours une relation pleine d’amour (Mathilde femew bouchaw quand tu me liras) et de complicité avec ma petite sœur @mtc_c.r mais aussi avec mon autre soeur @healthybodyneeded ???????? J’en suis reconnaissante et je sais qu’on sera ensemble toute la vie ??????? ?✨ (ptn elles vont me vanner ????) Je souhaite à tous d’avoir des personnes aussi uniques et aimantes (et folles) dans leur vie ???????? Douce journée ♡ _ ???? Haut Fila @jdsportsfrance ???? ???????? Nike M2K John Elliott (pécho sur @offspringhq) ???? : @ningia_ d’amour ???? So many It girls have been wearing Adidas Falcons lately. Gigi Hadid is particularly fond of this style. Hailey Baldwin, for one, can't get enough of this style. We challenge you to find a prettier Air Max 1. The buzz around these couldn't be louder (and the price couldn't be higher). Not new, but still going strong. Puma is finally getting in on the clunky-sneaker trend. Exactly what your fall wardrobe needs. Leopard-print anything and everything is a must this season.